Not only do students at SSHS create amazing memories and meaningful friendships in theatre, but countless alumni have also gone on to perform professionally after graduation, such as in television series, commercials and film, technical work, as well as Broadway productions. Students who have chosen to further their arts education have gone on to attend world-renowned arts programs at New York University, Syracuse, AMDA, Boston University, Carnegie Mellon, Pace University, and Pepperdine. Santa Susana High’s Theatre Department is a program like no other. Through a curriculum based on both stage performance and academic research, students are given the tools to develop their skills as a performance artist, seek out opportunities in their theatrical future, as well as develop a positive sense of self, on and off the stage. Each course provides a safe environment for taking risks in one’s performance, and an atmosphere made exclusively for positivity within creativity. Students learn to trust their own instincts, ideas, and abilities while they develop characters, practice, and have the times of their lives while performing on stage. As the capstone class at SSHS, Musical Theatre Production is an advanced, audition-only course for the accomplished singer, actor, and dancer. This small ensemble will put on two full stage productions each year on the Performing Arts Center stage, complete with full sets and costumes, lighting, and sound design. Musical Theatre’s small class size provides students with an intimate look at how a musical’s cast functions, and allows students to advance their performance art by taking risks in a safe and caring environment. In addition to their play and character studies, students will research post-grad job opportunities, pursue the improvement of their vocal and dance technique, develop their resumes, and create an online portfolio for professional use. For advanced students looking into a more traditional approach of straight-play performance, Play Production is the class to be in. By audition-only, students take part in two plays per year, either in the SSHS black box theatre or Performing Arts Center, with an emphasis on both comedic and dramatic plays. During the rehearsal process, students will continue their studies of both the plays they are performing and the characters they are portraying, as in Children’s Theatre, and will additionally study famous playwrights, theatre history, perform monologues and small scenes, and further develop their theatrical skills. Opportunities are available for advanced students to assistant-direct in Play Production. For more advanced theatre students interested in performances for youth audiences, this audition-only course offers two mainstage productions per year, as well as performances for the elementary schools throughout Simi Valley. Additionally, students will study the plays they are performing in depth, as well as a close look into the lives of the characters they will portray, and look at the art of storytelling and monologues. Along with the rest of these upper-level courses, seniors will have the ability to pursue the assistant-direction of a play for their certification, and in this class, even have the opportunity to write plays of their own. For students new to SSHS, or new to theatre itself, Theatre Essentials is the first step in a theatre arts education. Open to all students with no audition, this college preparatory course provides experiences crucial to the skillset of budding performers, such as improvisation, scene and monologue work, character development, performance critiquing, and basic stage-performance. The class also features guest speakers from the entertainment industry to provide an inside look at arts after high school and help show students the path to a successful career in theatre. Honors requires you to letter as a Thespian. 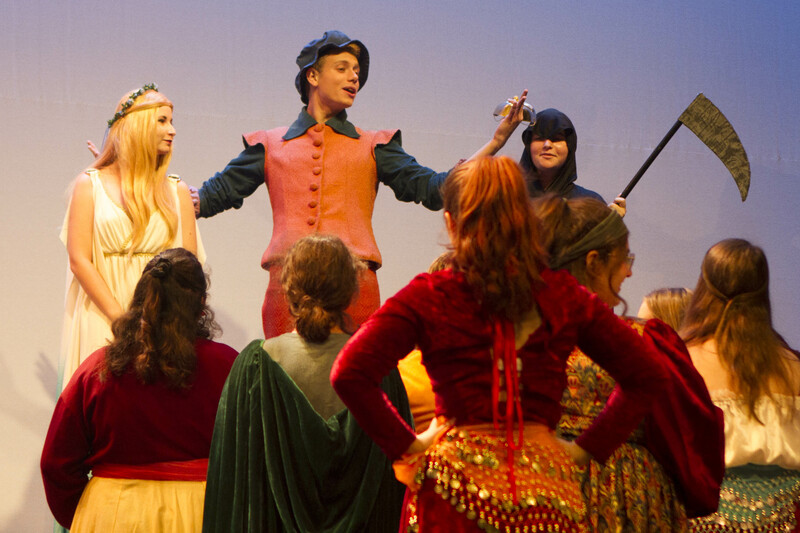 High Honors certification requires participation in Children's Theatre and Play Production. In both cases one must complete a senior project too. 30 units minimum needed to certify in Theatre.